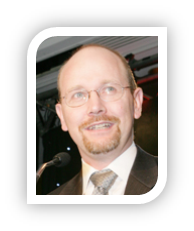 Wayne Small is an acknowledged expert and highly acclaimed international speaker, specialising in Small and Medium Business I.T. In recent years, he has performed training on behalf of Microsoft Australia to audiences ranging from 20 to 500. He has been a special consultant to numerous vendors like Trend Micro and StorageCraft, as well as being heavily involved in a volunteer capacity in the SMB I.T. Professional community. He has been awarded the highly coveted MVP award (Microsoft Valuable Professional) – the highest commendation offered by Microsoft to a non-Microsoft employee, for 10 years running, in recognition of his services and contribution to the I.T. Professional community, and is one of only 3 in Australia to hold that title. Wayne is also the author of numerous publications such as including books, and various magazine articles, and has been invited to present in the USA, Australia, New Zealand and across Asia. In 2007, CRN Australia Magazine inducted Wayne into the CRN Hall of Fame for his community efforts, joining the likes of Bill Gates and other leading IT Industry personnel. In 1997 Wayne started Sydney based SMB IT Consulting Company called Correct Solutions. He grew the company over the years to an 8 strong team with multi-million dollar revenues. In 2005, Wayne merged Correct Solutions with two other companies to bring greater strength to the organisation. The combined organisation now has 22 staff with three offices in Sydney and is one of the most respected SMB IT Resellers in Australia. In late 2006, Wayne stepped back in Correct Solutions and handed over the reins to Ryan Spillane. Wayne’s focus now is on training, presenting and writing on both technical and business topics for the SMB IT Professional and Reseller. He also provides consulting services to SMB IT Professionals and vendors to help them get more out of their business at a technical and business level.